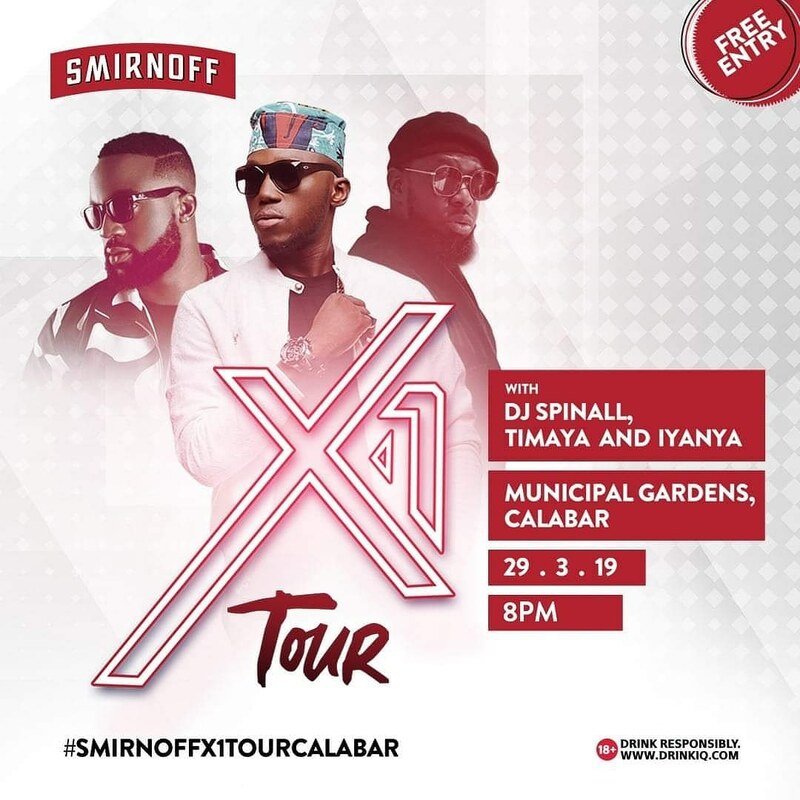 Calabar Agog as Smirnoff X1 Tour arrives March 29. HomeSmirnoff IceCalabar Agog as Smirnoff X1 Tour arrives March 29. Nigeria's first Capital, Calabar is ready for the most high-energy, adrenalin-pumping after-dark party of the year as Smirnoff X1, Smirnoff Ice and Smirnoff Guarana bring the biggest neon-themed party to the ancient city on Friday, March 29th at the Municipal Garden. 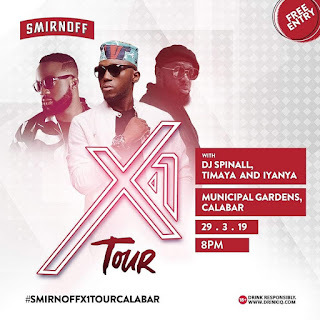 The Smirnoff X1 Tour is coming to the nation’s Paradise with an electrifying ‘glow-in-the-dark’ experience, with performances by the Egberi Papa 1 of Bayelsa, Timaya and Kukere singer, Iyanya. Superstar DJ Spinall will be on the wheels of steel alongside other Cali based DJs and performing acts! Smirnoff X1 infused cocktails, and the great tasting Smirnoff Ice and Smirnoff Guarana will fuel the party experience, with plenty of colour, excitement, music and entertainment to boot. The Smirnoff X1 Tour is an experience you don't want to miss. Bring your crew and express yourself in glowing colours of neon. It’s going to be lit!